We, the brothers of Phi Delta Chi would like to welcome and thank you for your interest in joining our fraternity! We highly encourage you to attend as many (or all) of our recruitment events taking place throughout the month of September. For a complete list of events, please visit our Calendar page. 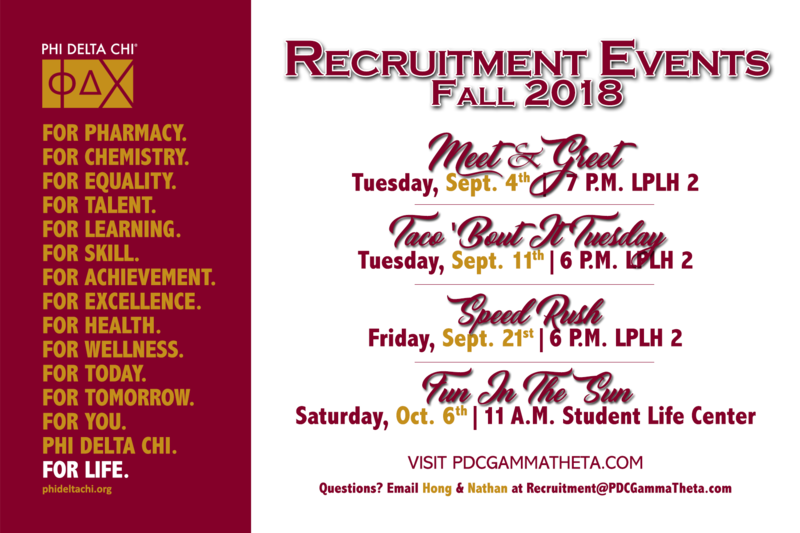 Please feel free to contact Thi Hong Vo and Nathan Sunada at RecruitmentCandidacy@PDCGammaTheta.com for additional information or questions. Mahalo!